Garage Door Repair and Installation - Servicing St. Cloud, Minnesota and Surrounding Areas Since 1988. 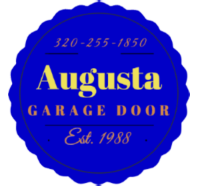 We are very proud to say that as of July, 2017 we are the new owners of Augusta Garage Door! Previously, Dustin had 15+ years of experience working under the family business doing residential and commercial garage door repair and installation. Augusta was established in 1988 and is the oldest garage door company in the St Cloud, MN area operating under the same name. We are dedicated to our customers, and are available 24/7 with no after-hour fees. Our day starts when yours does and together we can handle all of your garage door needs!